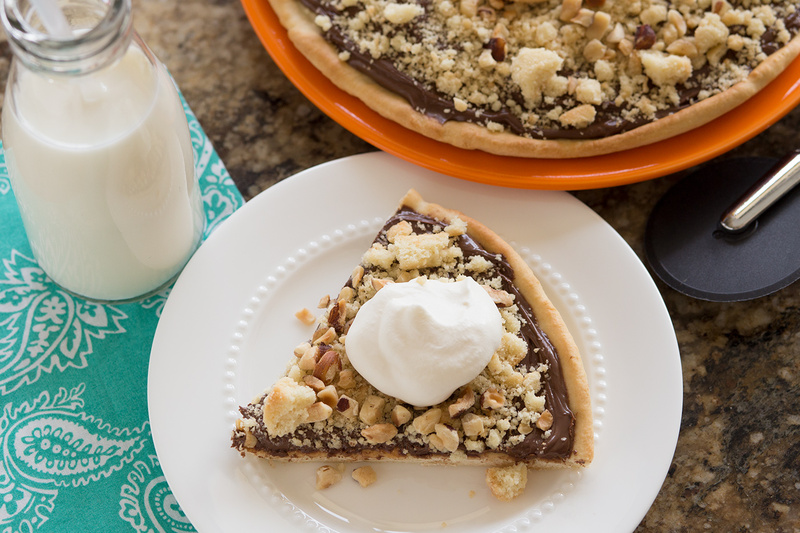 Try this fun new twist on a dessert pizza. It’s sure to be a new favorite! Spray counter lightly with non-stick cooking spray. Combine rolls and roll into an 11-inch circle. Place in a sprayed 9-inch round pan. Poke with a fork several times to prevent bubbles from forming. Bake at 350 degrees F 10-15 minutes or until lightly golden brown. Remove from oven and place on cooling rack. Spread Nutella over cooled crust. Sprinkle crumbled cookies over Nutella and top with hazelnuts. Serve with a dollop of whipped cream if desired.